It’s parent is in Bermuda. It owns essential port and rail assets in Australia. Its taxable income is zero over four years. It has made capital returns to Bermuda of $920 million in the past two years. Corporate structure: triple stapled security. The enigmatically named BIPH is a secretive Australian entity in the global empire of Canadian financier, Brookfield Asset Management. Brookfield acquired Multiplex in 2007. It bought Asciano with Chris Corrigan’s Qube in 2012, and its $4.5 billion takeover bid for Healthscope, Australia’s third largest hospital operator, is due to be confirmed tomorrow. The parent of BIPH, BIP Bermuda Holdings IV, features in the Paradise Papers database, as do three of its shareholders and its auditor Deloitte. It used the firm Appleby as an intermediary. 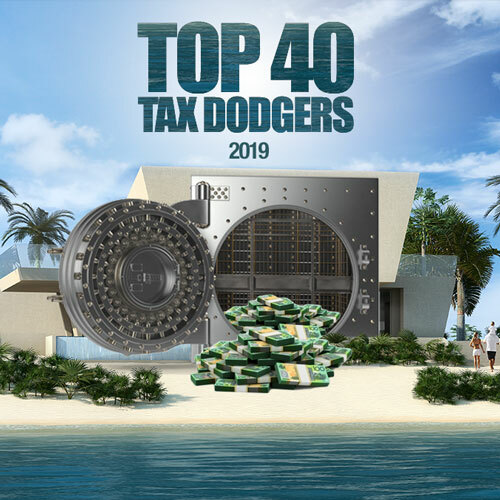 We are counting down the Top 40 Tax Dodgers. There are now four years of tax transparency data published by the Tax Office and we have used this data to work out which large companies operating in Australia have paid the least tax, or no tax. Notable new economy players such as Google, eBay, Booking.com, Expedia are not near the top of the ATO list. That's because they don't (yet) recognise all income earned here; instead, they book Australian revenue directly to their associates offshore. They will be ranked in due course. For other large corporations, and in particular, multinationals, the main steps in avoiding tax are made by reducing their taxable as much as they can; usually by sending it offshore in interest on loans, "service" fees or other payments to foreign associates. So, we have set a threshold. We have included only those companies which managed to wipe out 99.5 per cent or more of their taxable income over four years. Qantas, therefore, is not on this list, although it has enormous income and has paid no income tax in Australia for many years. It misses the cut-off due to it not eliminating more than 99.5 per cent of its total income. Further explanation of methodology can be found here. In this, the second iteration of michaelwest.com.au corporate tax rankings, we have ranked companies purely on the Tax Office data. We will also publish a list of Australia's better corporate taxpayers, those companies who contribute most to the country in which they operate. The Tax Office data is not a perfect guide. It does not record refunds, only tax payable and is often at odds with disclosures made for accounting purposes. In some cases, there are multiple entities with the same ultimate offshore parent reporting. One entity may pay zero tax, another may pay at the statutory 30 per cent rate (even if on low taxable income). We endeavour to be fair in our reporting to recognise these issues. The data also recognises trusts as well as companies. For trusts, it is the members (investors) rather than the trusts who are ordinarily required to pay the tax. In many cases however it is fair to recognise trust structures for what they are, as tax is often the main reason these vehicles have been structured as trusts. Hydrox has been taken off the list as it never made a profit. 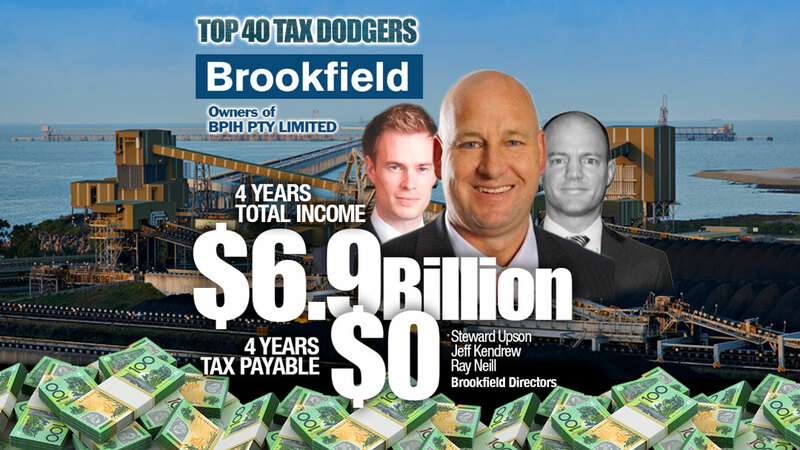 Counting down Australia’s biggest Tax Dodgers using 4 years Australian Tax Office transparency data.